Terra Glamping tent rentals and glamping event production, is available throughout the United States. Create an unforgettable experience with beautiful sleeping tents, lounge tents and outdoor lounges, for weddings, company off-sites and wellness retreats. 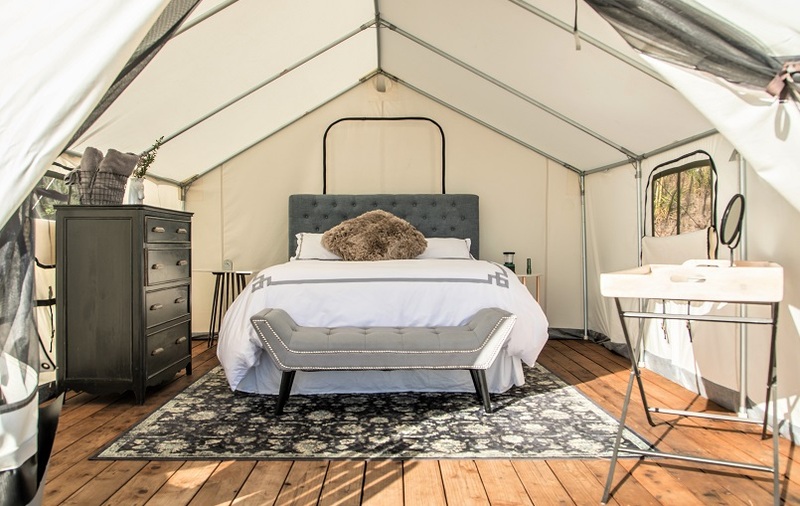 Terra Glamping: East Hampton is located at Cedar Point County Park, and hosts 30 glamping tents along Gardiner’s Bay, looking out to Sag Harbor and Shelter Island.